After yesterday's post which announced the retitling of Arne Dahl's Misterioso (a title suitable for everywhere else it seems from the covers on his website) as The Blinded Man, I thought I'd have a look at what else has been retitled in the last couple of years or so. Usually the UK title is first with the US title in brackets, but not always. Sometimes the changes are minor, and you wonder why bother, and other times the title's very different. Harvill Secker has acquired two books by Swedish crime writer Arne Dahl, with senior crime editor Alison Hennessey making her first signing in her new role. 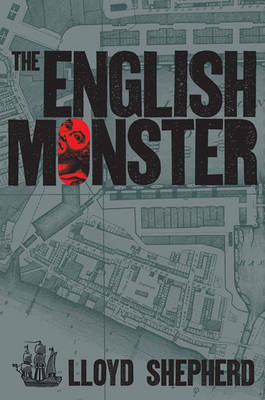 Hennessey bought UK and Commonwealth rights, excluding Canada, in the titles, both from Dahl's Intercrime series. Harvill Secker plans to publish the first book, The Blinded Man, as a Vintage paperback in July 2012, and the second, Bad Blood, in summer 2013. The Blinded Man kicks off the series which follows an elite team of detectives assembled to investigate international violent crime, with Bad Blood revolving around an American serial killer on the loose in Sweden. Hennessey said: "I am delighted to be bringing Arne Dahl's critically acclaimed Intercrime series to Harvill Secker as my first acquisition; with clever plotting and brilliant characterisation that will appeal to readers of Henning Mankell and fans of 'The Wire' alike..."
Dahl is already published in the US, with Misterioso, translated by Tiina Nunnally published last July. I am assuming that either The Blinded Man or Bad Blood is the same book as Misterioso. My notes say that "Misterioso was the second published in Swedish, but chronologically the first, the one in which a team of misfit police officers are pulled together to form a new investigative unit" which makes me none the wiser, so if anyone can shed any light I'd appreciate it. 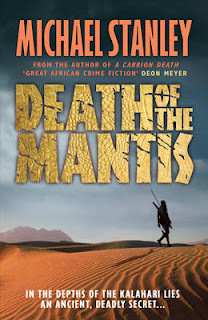 As well as reading the 9 new reviews, if you haven't already, do enter the competition which closes on 31st: win Death of the Mantis by Michael Stanley (no geographical restrictions). and Amanda Gillies reviews political thriller Killing the Messenger by Christopher Wallace. Forthcoming titles can be found by author or date or by category, here and new titles by Joyce Cato and Anya Lipska have been added to these pages this week. The other book, which has just been brought to my attention, and which should be out in a few days is The Dragon Tattoo and Its Long Tail: The New Wave of European Crime Fiction in America by David Geherin. 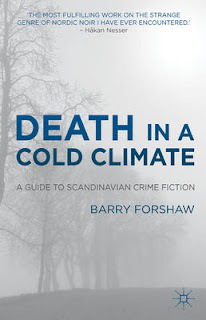 Death in a Cold Climate is a celebration and analysis of Scandinavian crime fiction, one of the most successful literary genres. Barry Forshaw, the UK's principal expert on crime fiction, discusses books, films and TV adaptations, from Sjowall and Wahloo's influential Martin Beck series through Henning Mankell's Wallander to Stieg Larsson's demolition of the Swedish Social Democratic ideal in the publishing phenomenon The Girl with the Dragon Tattoo. In intelligent but accessible fashion, the book examines the massive commercial appeal of the field along with Nordic cultural differences from Iceland to Denmark. Including unique interview material with writers, publishers and translators, this is the perfect reader's guide to the hottest strand of crime fiction today, examined both as a literary form and as an index to the societies it reflects. Includes Stieg Larsson, Henning Mankell, Jo Nesbo, Hakan Nesser, Karin Fossum, Camilla Lackberg, Liza Marklund, Jussi Adler-Olsen, Arnaldur Indridason, Roslund & Hellstrom and many others. 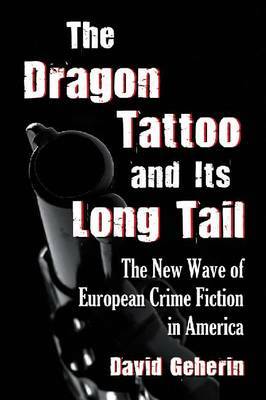 The enormous popularity of Stieg Larsson's Millenium trilogy has raised awareness of other contemporary European authors of crime fiction. As a result, several of these novelists now reach a receptive American audience, eager for fresh perspectives in the genre. This critical text offers an introduction to current European crime writing by exploring ten of the best new crime and mystery authors from Sweden (Stieg Larsson and Henning Mankell), Norway (Karin Fossum and Jo Nesbo), Iceland (Arnaldur Indridason), Italy (Andrea Camilleri), France (Fred Vargas), Scotland (Denise Mina and Philip Kerr), and Ireland (Ken Bruen) who are reshaping the landscape of the modern crime novel. 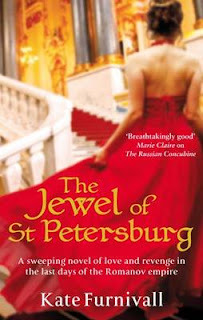 The final instalment of favourite discoveries of 2011 comes from Maxine Clarke who has chosen a tv series and a book. I think my two crime fiction discoveries of the year have been The Killing (though I prefer the straight translation of Forbrydelsen, The Crime) Danish TV series and the Norwegian novel Dregs by Jorn Lier Horst. The Killing (series 1) was compelling and tense viewing. For me, the best thing about it was the character of Sarah Lund because at last here is a female TV detective who is a real person, not forced into any of the usual gender cliches that the medium seems to insist upon (and why I rarely watch TV drama). The obsessed personality of Sarah Lund as portrayed by Sofie Gråbøl reminded me of the last time I saw a filmed crime drama that had that same "something special" about the protagonist -- that was William Peterson's portrayal of Will Graham in the 1986 film Manhunter, from Thomas Harris's novel Red Dragon. That film did not do well at the box office but who could forget the portrayal of the man who was prepared to give up everything in order to solve the crime? Sarah Lund as portrayed by Gråbøl has that same kind of focused, intense seriousness, indeed, the script takes her further than the Graham character in failing to provide a "happy ending", even better (as we can look forward to more stories about this amazing woman). There were aspects to the series that I did not like so much, but Sarah Lund and her jumper are, for me, as close to perfection as crime fiction can get. 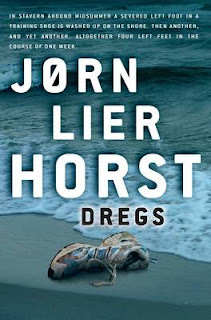 The book discovery of the year for me was Dregs by Jorn Lier Horst translated by Anne Bruce. It may not be my favourite book of the year or the best crime novel ever written, but these days when it is so hard to find a straight-down-the-line, engaging, reliable police-procedural series - tough-minded but with a social conscience - this book was like a gift from heaven. Meet Chief Inspector William Wisting, an experienced policeman who is familiar with the dark side of human nature. He lives in challenging times for the Norwegian police force, meeting them with integrity and humanity, and a fragile belief that he can play a part in creating a better world. Dregs is the sixth novel in a planned series of ten. The author is a retired Norwegian policeman whose role model (crime fiction-wise) is Henning Mankell and his Wallander series. The author says: "I would like to be a police officer like Wallander, an upright and good detective who led the work on major cases. A policeman with a conscience, integrity and humanity and an involvement in his community beyond the individual, a true commitment to my fellow human beings. In Dregs I think he has succeeded in this and, vitally, has created a very readable story and interesting characters. More about this author and his books can be found in this wonderful interview at the Cyprus Well website. Pan Macmillan has acquired two psychological thrillers by Hilary Bonner. Publishing director Wayne Brookes bought world rights for The Cruellest Game and an as-yet-untitled novel. 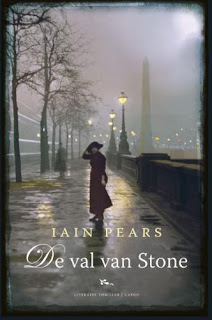 Pan Macmillan plans to publish the first title in 2013. If you're a visitor to the FriendFeed Crime and Mystery Room (and if not do come along) then you'll have heard about this a few days ago. I downloaded the podcast after Maxine at Petrona had mentioned it but only got round to listening to it last night. Jo Nesbø says that Per Wahlöö was the 'godfather of Scandinavian crime writing', creating the archetypical disillusioned, troubled but somehow dedicated detective now familiar to us from the work of Steig Larsson, Henning Mankell and Nesbø himself. Sarah Death, the translator of two new editions of Wahlöö's classic crime novels, explains why now's the time to discover him for ourselves. Sarah Death, editor of Swedish Book Review, who as well as retranslating Per Wahlöö's Murder on the Thirty-first Floor and The Steel Spring is also working on Kristina Ohlsson's series, the first of which Unwanted was published in English last September. In the 10 minute interview which begins the podcast, as well as discussing the Wahlöö books, Sarah suggests a refresh in translation of the Martin Beck series might not go amiss and also recommends Hakan Nesser and Lars Kepler. If you want further reading suggestions, have a look through the Euro Crime list of Swedish authors, many of whose books are reviewed on the site. There is a little more information on the Per Wahlöö retranslations here. To get the podcast - as well as subscribing through iTunes you can download the podcast here or you can listen again (for 3 more days only) here. Yes, the mysterious lady walking along the Thames (presumably) gets another outing. 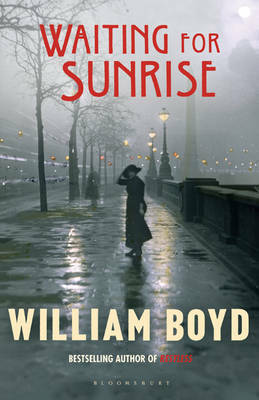 This time she's on the upcoming Waiting for Sunrise by William Boyd. Other covers that she's appeared on and similar ones (that I know about) are shown below. The third series of ITV's excellent Whitechapel begins next Monday at 9pm. There are six episodes comprising three two-part investigations which are inspired by three real-life crimes/criminals: The Ratcliffe Highway Murders, The Whitehall Mystery and The Zodiac Killer. 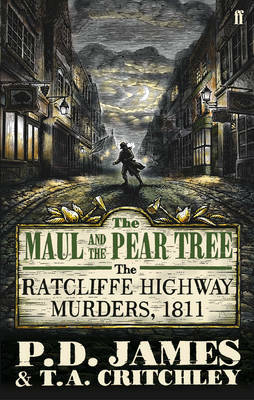 As far as I know, the Ratcliffe Highway Murders, unlike Jack the Ripper, haven't featured in much crime fiction. There is of course the non-fiction account, The Maul and The Pear Tree by P D James and T A Critchley which was reissued in 2010 and there will be Lloyd Shepherd's debut novel, The English Murder which is to be published 1 March. Blurb: London, 1811. The twisting streets of riverside Wapping hold many an untold sin. Bounded by the Ratcliffe Highway to the north and the modern wonders of the Dock to the south, shameful secrets are largely hidden by the noise and glory of Trade. But two families have fallen victim to foul murder, and a terrified populace calls for justice. John Harriott, magistrate of the new Thames River Police Office, must deliver revenge up to them and his only hope of doing so is Charles Horton, Harriot's senior officer. Harriott only recently came up with a word to describe what it is that Horton does. It is detection. Plymouth, 1564. Young Billy Ablass arrives from Oxford armed only with a Letter of Introduction to Captain John Hawkyns, and the burning desire of all young men; the getting and keeping of money. For Hawkyns is about to set sail in a ship owned by Queen Elizabeth herself, and Billy sees the promise of a better life with a crew intent on gain and glory. The kidnap and sale of hundreds of human beings is not the only cursed event to occur on England's first officially-sanctioned slaving voyage. On a sun-blasted islet in the Florida Cays, Billy too is to be enslaved for the rest of his accursed days. Based on the real-life story of the gruesome Ratcliffe Highway murders, The English Monster takes us on a voyage across centuries, through the Age of Discovery, and throws us up, part of the human jetsam, onto the streets of Regency Wapping, policed only by Officer Horton. In one of those weird coincidences, today at work I placed copies of both of these books on the 'recently returned & popular reads' stand. 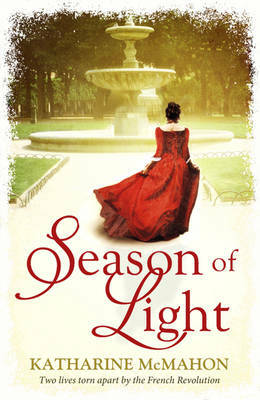 The cover for the more recent Season Light is very striking and then I noticed they both had the same lady in them, albeit with a modified bodice. 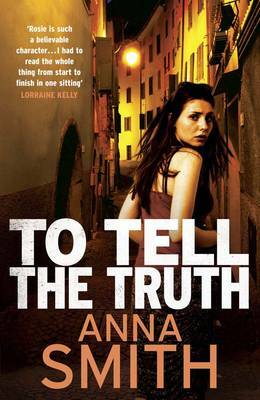 "We think if you like PHILIPPA GREGORY you'll love KATHARINE McMAHON"
I've had sight of an early copy of Anna Smith's To Tell The Truth which is published by Quercus on 2 February and on the reverse is a quote from Amanda Gillies' review of The Dead Won't Sleep, the first in the Rosie Gilmour series. ...and the competition prize: Win Death of the Mantis by Michael Stanley (no geographical restrictions). Michelle Peckham reviews the current competition prize, Death of the Mantis by Michael Stanley calling it "a very entertaining read"
and Michelle also reviews Aline Templeton's Cradle to Grave the latest in the "Big Marge" series. The Author Websites page now lists 917 sites. 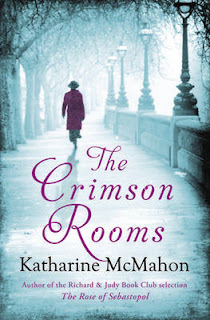 The New & Upcoming Releases pages have been updated (added since last weekend - Richard Crompton, R J Ellory, Mari Hannah, James McGee and Karen Maitland). I've added new bibliographies for: George Arion, M K Bates, David Belbin, Nancy Bilyeau, Laurent Binet, Kevin Brophy, Peter James, Cottrell, Richard Crompton, Howard Cunnell, Maurizio De Giovanni, Hannah Dennison, Mark Douglas-Home, Zoran Drvenkar, Ruth Dugdall, Caryl Ferey, Camilla Grebe & Asa Traff, Alex Grecian, Tom Grieves, Paul Grossman, Penny Hancock, Mari Hannah, Antonio Hill, Hjorth-Rosenfeldt, Bogdan Hrib, Ewart Hutton, Victor Arnar Ingolfsson, Laurie R King, Peter Leonard, David Mark, Alex Marwood, Matt McGuire, Hakan Ostlundh, Chris Pavone, Oliver Potzsch, Jutta Progijt, Kate Rhodes, Jacqui Rose, Alexander Soderberg, Dag Solstad, Jason Steel, Oana Stoica-Mujea, Ferdinand von Schirach, Kate Williams, Tom Winship. I've updated the bibliographies (ie added new titles) for: Geraint Anderson, Patti Battison, M C Beaton, James Becker, Mark Billingham Benjamin Black, Helen Black, Sara Blaedel, Richard Blake, Xavier-Marie Bonnot, Stephen Booth, Rhys Bowen, Gyles Brandreth, William Brodrick, Ken Bruen, Andrea Camilleri, C S Challinor, Sam Christer, Cassandra Clark, Rory Clements, Alex Connor, Julie Corbin, James Craig, Adam Creed, Julia Crouch, Judith Cutler, Diego De Silva, P C/Paul Doherty, Carola Dunn, Steven Dunne, Patrick Easter, R J Ellory, Giorgio Faletti, Conor Fitzgerald, James Forrester, Karin Fossum, Christopher Fowler, Nicci French, Robert Goddard, Ann Granger, Barry Grant, Alex Gray, J M Gregson, M R Hall, Patricia Hall, Oliver Harris, C S Harris, John Harvey, Elizabeth Haynes, James Henry, Paulus Hochgatterer, Arnaldur Indridason, Quintin Jardine, Michael Jecks, Roderic Jeffries, Paul Johnston, Susanna Jones, Alan Judd, Jim Kelly, Graeme/G W Kent, Bill Kitson, Bernard Knight, Tom Knox, Marek Krajewski, Roberta Kray, Lynda La Plante, Camilla Lackberg, T S Learner, Donna Leon, Peter Lovesey, Matt Lynn, Karen Maitland, Edward Marston, Andrew Martin, Faith Martin, Peter May, Kathleen McCaul, Andy McDermott, James McGee, M J McGrath, The Medieval Murderers, Danny Miller, G J Moffat, Susan Moody, R N Morris, Ian Morson, Colin Murray, Amy Myers, Hakan Nesser, Chris Nickson, Felix Palma, Caro Peacock, Anne Perry, Leif GW Persson, Sarah Pinborough, R T Raichev, Mary Reed and Eric Mayer, Linda Regan, Ruth Rendell, Craig Robertson, Imogen Robertson, Eileen Robertson, Rosemary Rowe, Pauline Rowson, Craig Russell, Giorgio Scerbanenco, Kate Sedley, Bob Shepherd, Frank Smith, Alexander McCall Smith, Roz Southey, Simon Spurrier, Gunnar Staalesen, Lyndon Stacey, Cath Staincliffe, Veronica Stallwood, Jon Stock, D J Taylor, James Thompson, Rebecca Tope, M J Trow, Nicola Upson, Roland Vernon, Jason Webster, Louise Welsh, Andrew Williams, Elizabeth Wilson, Laura Wilson, Jacqueline Winspear, Tom Wood, Simon Wood and Juli Zeh. Yvonne has just posted the new reviews up at Reviewing the Evidence, a site which kindly lets me link to their reviews to supplement those written by the Euro Crime review team. Yvonne is also able to access those books published over the pond. Scotland will have its own crime festival this year. Bloody Scotland will take place in Stirling, 14-16th September 2012. 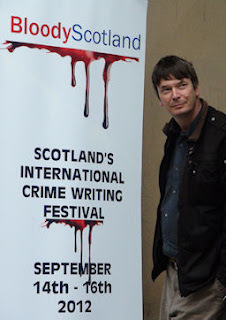 Peering at the photo on the website, joining Ian Rankin will be Lin Anderson, Tony Black, Alex Gray, Allan Guthrie, Alanna Knight, Stuart MacBride, The Mulgray Twins, Craig Russell and many others from this list of Scottish authors. 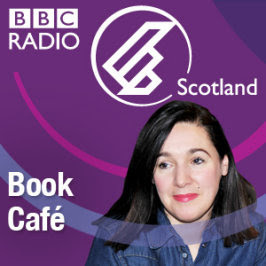 It is the most popular genre amongst Scottish readers both in bookshops and in libraries, it generates countless screen adaptations, and yet at present none of our 40 plus literature festivals celebrates it. Bloody Scotland is an innovative festival which will showcase Scottish crime writing and place it in an international context. We will shortly be announcing a stellar cast of leading crime writers. Stirling is the natural location for a major new festival, with easy access from the cities and also nearby Falkirk, Linlithgow, and Perth. Bloody Scotland seeks to build on the existing strengths of Stirling’s own successful Off the Page festival… and forge something new. I have been keeping the master list of 2012 International Dagger Eligibles list up to date, adding in new titles and linking in the reviews from the Euro Crime website. There have been one or two changes from when I first posted it. 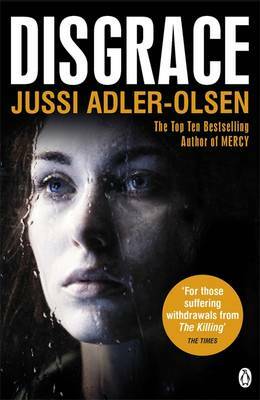 One of the most significant is the change in publication date for Disgrace, the sequel to Jussi-Adler Olsen's Mercy (voted Euro Crime Reviewers' Favourite Read of 2011) from March to June which puts it into next year's list. The cover has a Sarah Lund vibe - or is it just me? Other movers are: Petros Markaris's Basic Shareholder which will now be published in 2013 (month unknown at the moment) and the eagerly awaited Last Will by Liza Marklund, whose English translator Neil Smith has informed me that the US edition will be April but a slightly different edition for UK and Australia will come out in September. Included in the Best Paperback Original category are Lucretia Grindle's The Faces of Angels (published in the UK in 2006), Death of the Mantis by Michael Stanley (which will be reviewed soon and is currently the competition prize (no geographical restrictions)), as well as Frank Tallis's Vienna Twilight (UK: Deadly Communion). The whole list of nominees and categories is listed on the The Edgars website. 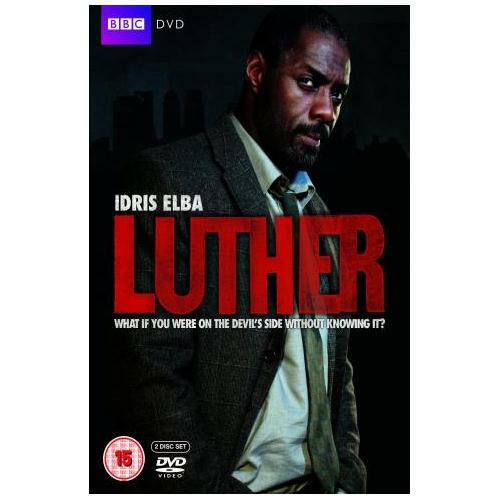 More accurately Idris Elba has won a 2012 Golden Globe in the category Best Actor - Miniseries or Motion Picture Made for TV, for his portrayal of the character Luther in the series of the same name. So far there have been two series of Luther, both are available on DVD and have been followed up by an original novel from the series creator, Neil Cross: Luther: the Calling which is reviewed here by Sarah Hilary for Euro Crime. As well as the 9 new reviews, don't forget to see which title, author and translator made the top spot for the Euro Crime reviewers' favourite book of 2011. The competition's still open: win Death of the Mantis by Michael Stanley (no geographical restrictions). Norman calls Ben Pastor's Liar Moon "grown-up crime fiction"
and Lizzie Hayes reviews Joanna Price's debut A Means of Escape set in the Glastonbury area (and incidentally is very cheap on Kindle at the moment). Forthcoming titles can be found by author or date or by category, here and new titles by Mark Billingham, Kevin Brophy and Hakan Ostlundh have been added to these pages this week. When we got him, he was 3 months old and had been rescued by the Cats Protection League who had got him from a vets where they didn't put down healthy cats. He was so nervous and would hide under the video recorder/tv stand. He eventually warmed up and was fairly sociable with people but was absolutely terrified at first of the new cats we got a few years later and would never pick a fight with another cat (unlike a certain Mr Fox). It was so pleasing to see Nimes just sleeping in the front garden, completely relaxed - so different from when we first got him. I've been browsing through the digital photos and found a few nice ones from 2004 when he was 13. You'll see he was a bit of an omnivore. He also loved Skips and any other crisps. I know everyone thinks their cats are beautiful but he really was and good-natured too. Didn't mind being picked up and put up with the younger cats - and if he did get fed up a mighty paw would descend on the offender and that would be that! This week's selection for "cover opinions" is the US and UK covers for Karin Fossum's The Caller, tr. K E Semmel. The US release is not until August 2012. 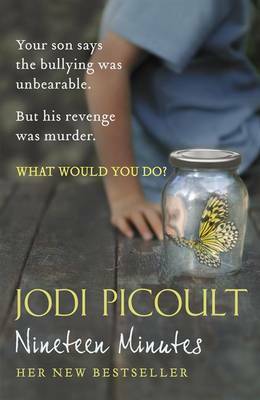 You can read an extract here. The UK mass-market paperback (with a new series look, I understand) will be out in July. So what are your thoughts on the US (LHS) and UK (RHS) covers? 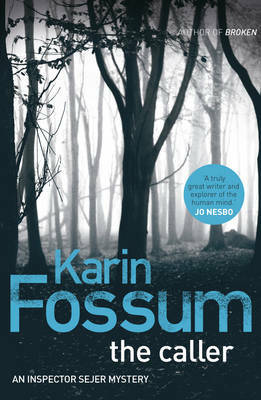 Which would entice you to pick the book up if you were not familiar with the books of Karin Fossum? Both have the same quote from Jo Nesbo. Read the Euro Crime review (by me) of The Caller. The breakdown by reviewer, with additional recommendations and any additional comments they have made, can be found on the website. As well as 6 new reviews, I have uploaded the Euro Crime reviewers' favourite reads of 2011, by reviewer. Tomorrow I will announce the favourite book, favourite author and favourite translator of 2011 (based on the aforementioned submissions!). and Lynn Harvey reviews Frank Tallis's Death and the Maiden the sixth in this historical series set in Vienna, which is now available in paperback. Forthcoming titles can be found by author or date or by category, here and new titles by Patti Battison, Rhys Bowen, Gyles Brandreth, C S Challinor, Cassandra Clark, Rory Clements, Julie Corbin, Peter James, Cottrell Howard Cunnell, Maurizio De Giovanni, Diego De Silva, Mark Douglas-Home, Nicci French, Alex Grecian, J M Gregson, Patricia Hall, C S Harris, Elizabeth Haynes, Viktor Arnar Ingolfsson, Roderic Jeffries, Laurie R King, Bernard Knight, Peter Lovesey, Faith Martin, Susan Moody, Amy Myers, Chris Nickson, Chris Pavone, Caro Peacock, Anne Perry, Oliver Potzsch, Jutta Profijt, Mary Reed and Eric Mayer, Linda Regan, Eileen Robertson, Rosemary Rowe, Pauline Rowson, Kate Sedley, Frank Smith, James Thompson, Rebecca Tope, Louise Welsh, Andrew Williams and Simon Wood have been added to these pages this week. 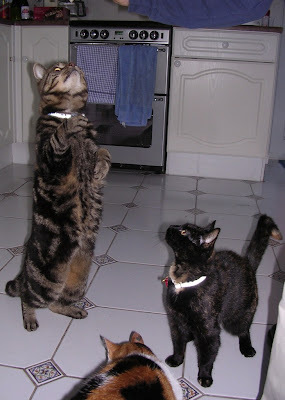 Our eldest cat Nimes had to be put down today aged 20 1/2. He'd been deteriorating quickly so we took the sad decision to go to the vets. He was a quiet cat, nothing flashy about him but he was much loved by the humans and other cats in the household. We gave him a good life (and lots of chicken) and he has left us with some happy memories. 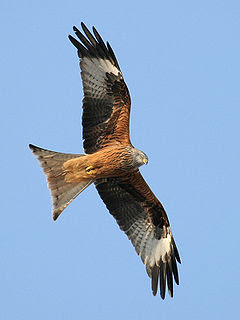 Is This a Red Kite I See Before Me? 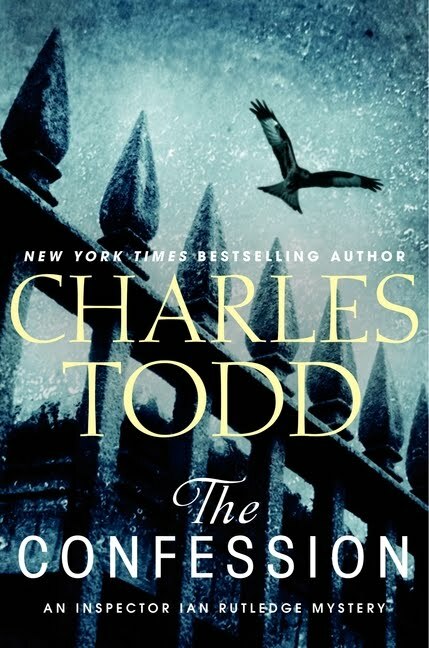 Just spotted this cover for Charles Todd's newest Inspector Ian Rutledge, The Confession, which is set in the 1920s. On the cover of this book, set in London and Essex, there appears to be a red kite; a once common bird in London in Shakespeare's time but by the 20th century only found in Wales. The first sighting in London for 150 years was reported in 2006. They are much more common now due to an RSPB reintroduction programme - easiest way to see them is to go on the Chiltern railway line which goes through their English heartland of the Chilterns (eg Princes Risborough). I had a tip-off about this from a friend at reading group. The CWA International Dagger Award winning, The Darkest Room by Johan Theorin is being serialised on Radio 4 Extra. The first of five thirty-minute parts begins on Saturday at 23.30. If you can't stay up then I imagine it will be on iPlayer very shortly afterwards! Euro Crime review of The Darkest Room. Johan Theorin's bibliography with reviews of all three books available in English. 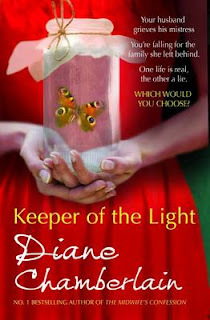 Amazingly the same book has been selected for both new seasons of the well-known UK book groups: Richard & Judy and the TV Book Club. You can currently pick up a free copy of Before I Go to Sleep at your local Birmingham library as it is Birmingham's Big City Read. Today's instalment of favourite discoveries of 2011 comes from Sarah Hilary who has chosen a French crime tv series. My new discovery (new to me) was Spiral, the French TV series with the best hero/heroine combination I've seen on television and, of course, Paris. 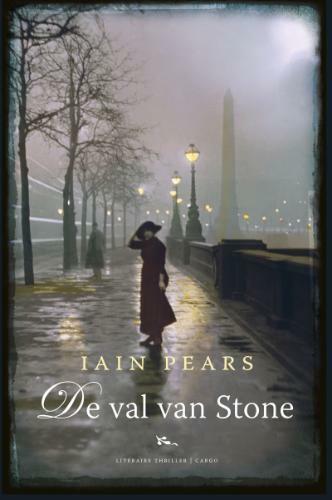 A great hard-edged contrast to my favourite euro crime author of the moment, Fred Vargas. 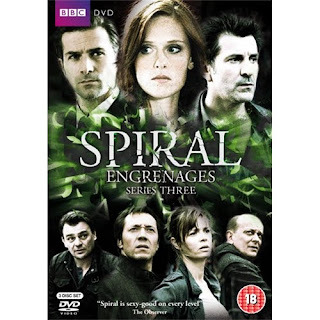 There have been 3 series of Spiral shown on BBC4 and they can be bought on R2 DVD as individual box sets or as a combination of series 1 & 2 or series 1-3; at an average of £8 per series they are an absolute steal. Fred Vargas's books (in English translation) are listed and reviewed here. You can read Sarah's Euro Crime reviews here (by searching for her name). 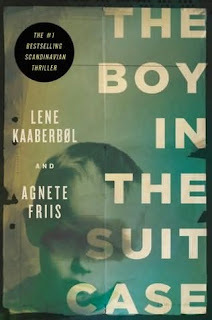 The Boy in the Suitcase by Lene Kaaberbol and Agnette Friis is being launched at Foyles on 17th January. 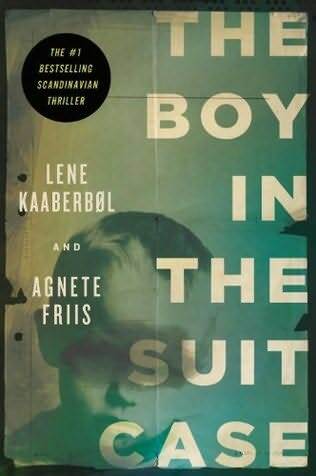 Celebrate with us the English language release of the award-winning Danish thriller The Boy in the Suitcase. 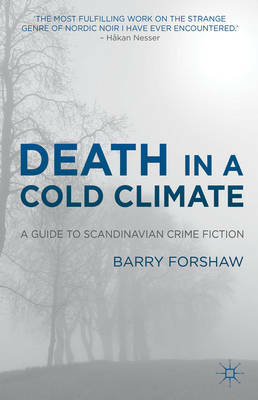 The evening will feature a lively discussion with the authors chaired by crimefiction expert Barry Forshaw, author of Death in a Cold Climate: A Guide to Scandinavian Crime Fiction and will include compelling insights from Scandinavian Crime enthusiast and founder of the legendary Nordic Noir Book Club Dr. Jakob Stougaard-Nielsen (UCL). Lene Kaaberbøl has sold more than two million books worldwide as a fantasy writer. Her collaborator, Agnete Friis, is a children’s writer. The bestselling Nina Borg series has been translated into nine languages and was a finalist for the coveted Scandinavian Glass Key Crime Fiction Award. Blurb: Nina Borg, a Red Cross nurse, wife, and mother of two, is a compulsive do-gooder who can't say no when someone asks for help—even when she knows better. When her estranged friend Karin leaves her a key to a public locker in the Copenhagen train station, Nina gets suckered into her most dangerous project yet. Inside the locker is a suitcase, and inside the suitcase is a three-year-old boy: naked and drugged, but alive. Crime-wise I still read about 98% translated so it's no surprise my top five favourite crime novels that I read this year, are all translated crime novels though I'm more surprised that they are all Scandinavian. The pie charts I posted recently show that the translated crime scene is dominated by Swedish authors at the moment. A compulsive read, quite gory with a great twisty ending but goes deep into woo-woo territory near the end. Despite my flippant categories, I enjoyed and do recommend these last 3 books for something a bit different! Win Death of the Mantis by Michael Stanley (no geographical restrictions). and Lynn Harvey calls Stuart Neville's third book, Stolen Souls "a seriously good crime novel". Forthcoming titles can be found by author or date or by category, here and new titles by Sara Blaedel, Andrea Camilleri, Conor Fitzgerald, Barry Grant, Colin Murray and Ruth Rendell have been added to these pages this week. Euro Crime has 5 copies of Death of the Mantis by Michael Stanley to giveaway. This competition is open to residents of the world and will close on 31 January 2012. When a fractious ranger named Monzo is found dead, fallen into a donga - a dry ravine - surrounded by three Bushmen, the local police arrest the nomads. Detective 'Kubu' Bengu is on the case, which reunites him with his old school friend Khumanego, a Bushman and now an advocate for his people. Khumanego believes the arrests are motivated by racist antagonism from the police, as the Bushmen are claiming that they were at the murder scene because they were trying to help. Soon after Monzo's death, Detective 'Kubu' learns of another case involving two botany students on their way back from a specimen-collecting trip but who were later found dead, seemingly poisoned, at a campground. Could the deaths be connected?